It’s been more than three years and more than 300 episodes so far. 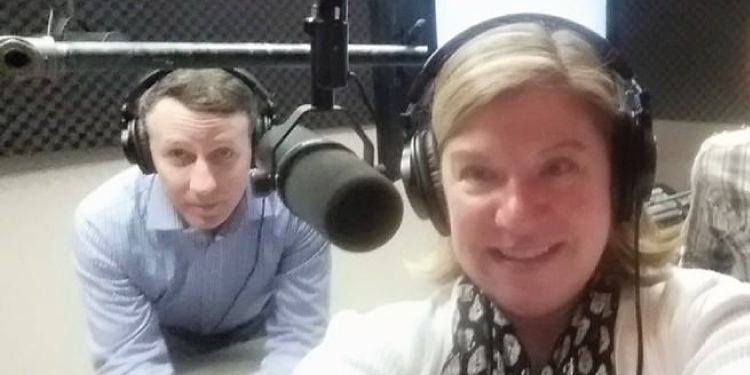 Adam Toporek and I have gone from podcast rookies to almost podcast pros. In just the first few dozen episodes, we interviewed best-selling authors, purpose-driven entrepreneurs, Chief Experience Officers, a neurologist and a successful cab driver all in the name of customer experience. Crack the Customer Code, our podcast dedicated to helping business leaders improve customer service and create meaningful customer experiences, is just as fun to record as I had thought it would be when we started. But make no mistake: podcasts require real work. We learned to interview better. We learned to prepare more. And we learned to select great guests. But some guests make it easier than others. 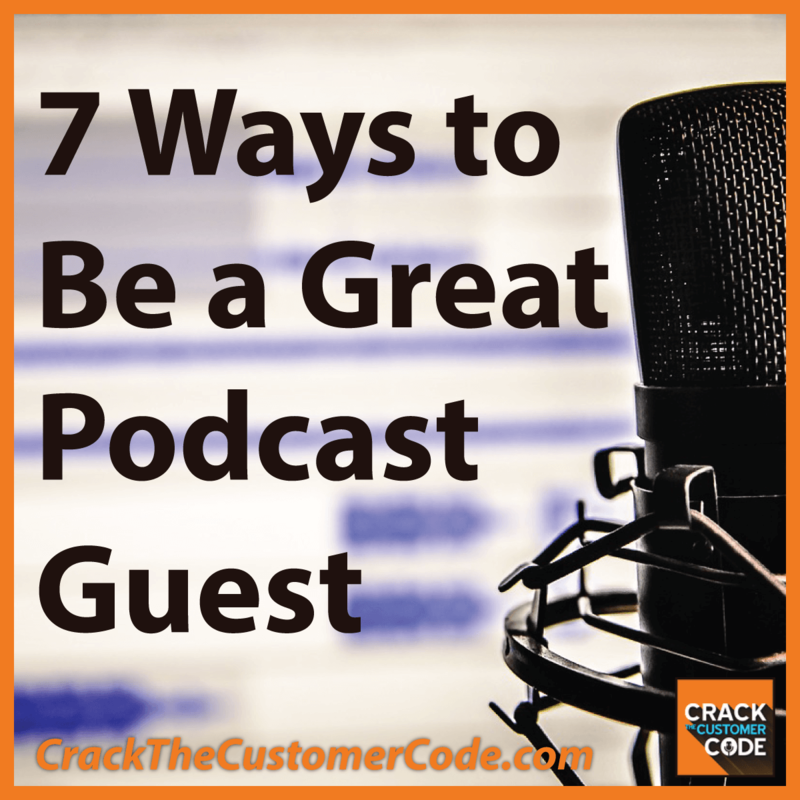 If you are aiming to be a guest on any podcast, I have a few helpful suggestions for you. 1. Listen to the podcast you are pitching. As our podcast grew and we started hearing from potential guests, some were an easy yes. The best pitches included why they were a fit for our audience. They even commented on past episodes. Some were subscribers and had left reviews, which helps podcasts grow. They were fans. So they understood what sort of angle to provide to match with our mission. 2. Know what materials to send. Most podcasts need certain things from guests. For show notes, it’s pretty common to require a short bio, a headshot and social links. Receiving all this material in the correct format and all together instead of in pieces via email can be a huge benefit. The material also helps your hosts get to know you in advance, which makes for a better interview. 3. Improve or create a great one-sheet. Some scripts are easier to write than others. We don’t over-script our shows, but we do write out questions in advance. Some guests provide a one-sheet with their bio, key points, headshot and suggested questions. These are very helpful! We often don’t stick exactly to the questions, but knowing in advance what your guest is most comfortable discussing allows us to help make them shine. 4. Follow the audio instructions. Audio quality is super important. As a podcast listener, I often turn off an episode if it’s just too hard to hear or full of background noise. If you don’t have a great headset and microphone yet, order one today. We send instructions asking for our guests to wear them and that bit of advice has been ignored more than once. It makes recording, editing and producing a lot harder. And the audience is less likely to stick with the episode to hear the great content. 5. Be fully present during the interview. Use names. Have a conversation. The best interviews lead to unexpected conversations. It also doesn’t hurt to use your host’s name. Just like in real life, personalizing the discussion helps engage people more. If a guest is typing in the background, repeating every answer they’ve provided on every other interview they’ve done, and barely tuning into the questions asked, it is obvious. And it’s just not very fun to listen. We joke about this phrase on our podcast, but it’s an important one. Podcasts live and die by gaining listeners, getting great reviews, and garnering attention. We rely on our guests to help spread the word to their networks. We provide easy social status updates when our guest’s episode is live, and yet some still don’t share. Sharing and endorsing the podcast in which you were featured is an honor for your hosts! I love getting to know our guests. I find them compelling people, which is why they are invited to be on the show. Many have become friends, and the best guests reach out after our show with feedback. A few have reached out weeks or months after their interview to suggest guests for us, which we love! Many continue to promote their episode as well as sharing other episodes for us. The best guests become part of our community, and it’s really special. Knowing they appreciate episodes that aren’t just about them is pretty awesome, and like I said, the sharing helps a lot! We do laugh a lot when we are recording! Or maybe I just laugh at Adam. It’s a toss up. A few ideas for how to make your podcast hosts love you! Podcasts are here to stay. I am very happy to be part of the podcasting community and hope you’ll join us when you can. Of course, we love sharing and reviews, too. So don’t be a stranger. We have plenty of exciting guests scheduled and a few openings left for 2018. Would you like to be on the show, recommend a guest, or suggest a topic? Get in touch!